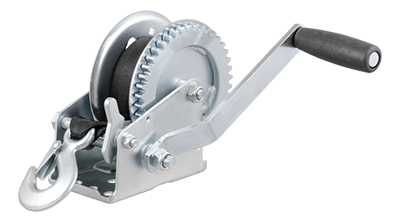 CURT hand winches and winch straps are perfect for adding functionality to your trailer. Winches are available in 900 to 2,100 lbs. capacities and various sizes. Our winch straps also come in multiple sizes and have a snap hook for simple, secure attachment.